Two weeks ago in this space I explained how a silly radio quiz show inspired me to write a fairly serious short story. Today we're going the other direction: how a serious problem led me to write what I hope is a funny book. As I have mentioned before, I m a librarian at a university. The students with whom I have the privilege of working the most major in environmental science and environmental studies. It is inspiring to see these young students dedicating their careers to finding ways to improve our habitat, and it makes me wish I could do more to help the cause than just steer them to useful data sources. Alas, I don't have the skills to study paleoclimatology or coral reefs. But, it occurred to me, one thing I know a little about is writing crime fiction. Could I do anything useful there? The story idea I discussed two weeks ago came down like a bolt of lightning. This one took longer to develop. 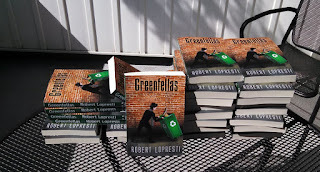 It started with a character: Imagine a mobster, a wiseguy very happy with his place in the criminal world. 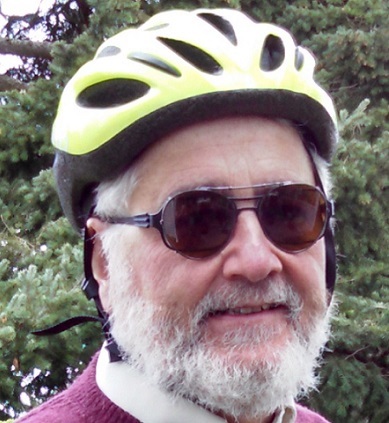 Now imagine that on the very day he becomes a grandfather he hears a news report claiming that by the time his sweet little granddaughter is ready for college, climate change will have made the world a disaster area. 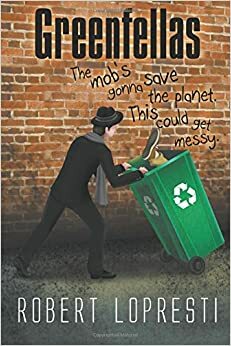 For my mobster that is unacceptable, so he decides it is up to him to save the environment. Hey, how hard can it be? My hero - well, protagonist -- turned out to be Sal Caetano, the consigilere in a New Jersey Mafia family. While Sal is officially just the number three man in the borgata he is known as the brains of the bunch and his opinion is respected. But when he goes on his eco-kick he becomes a danger to everyone who has a stake in the status quo. That turns out to include not only his partners and rival gangs, but also dirty politicians, th FBI, and even ecoterrorists. So Sal is in for some dangerous adventures. A story like this had to be told funny, which is fine with me. I have been known to do funny. But the environmental issues were serious and I needed help with that stuff. In the book Sal contacts an ecology professor named Wally and asks for a rundown on the biggest issues facing the environment. To make that work I contacted three professors at my university and explained the premise. Pretend you're Wally, I told them. You have a smart, highly-motivated listener with no background in the field. What would you tell him? Based on their combined answers, and adding in my own off-the-wall opinions, I found the words to put in my ecologists' mouth. 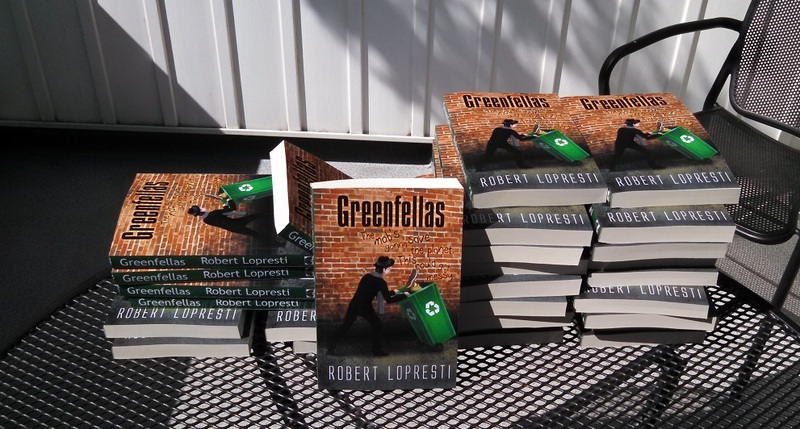 Greenfellas was a lot of fun to write (and I have written about the process of doing so. For example here and here). The book hits the stands this Friday and someone else will have to tell me if it is fun to read. Very best of luck with Greenfellas. Extremely clever, Rob! I hope you sell a million copies; however, you will be held accountable for all those trees if you do. I know some guys here in Jersey. Best wishes for your success! Best of luck with the book--I look forward to reading it. Super premise, and you know how I love mob stories :) Looking forward to this one, Rob! Whew! That's got to upset a lot of mafia in the trash hauling business! And David Dean… that means the rest of us have to buy a lot of books, Rob! And Congratulations! I can hardly wait to read it - it sounds GREAT! Rob, it is a good book and it is a funny book. Best wishes on your sales. It certainly sounds as if it'll be fun to read. Congratulations, Rob, and best of luck! Thanks for all the kind words. The book is now up on Amazon, I am happy to say. You will notice R.T. already read the book. He is always one of my first readers and in this case he and David and Dixon both helped me with the law enforcement side of things. I, of course, remain responsible for all the blunders. I'm sure I will soon be hearing about them! Can't wait to read it, buddy! Love the title and the idea of entertaining green fiction. You da man!